In his youth, when accompanying his father, then a produce agent, around northern Tasmania, Max Poulter became aware of the disproportionate distribution of wealth within the local community. This discovery motivated his actions, political and social, and ultimately led to his election to the Senate, though he died before taking his seat. Maxwell William Poulter, school and university teacher, was born on 22 January 1913 at Devonport in Tasmania, to Tasmanian-born parents, William Poulter, a storeman, and his wife, Cinderella Ismay, probably née Bowden. Sometime after Max’s birth, the family adopted a little girl, Esme. From the start Poulter was a gifted student. He received his early education at Devonport Primary School, and from 1926 to 1930 attended Devonport High School where he became senior prefect, gained the best matriculation pass for his year, and was a member of several sporting teams, notably football, cricket and tennis. In 1929, while still at school, he became a probationary student teacher. In 1931 he commenced his studies at the University of Tasmania, continuing on a part-time basis after becoming an assistant master at Devonport High School in 1936. He graduated as a Bachelor of Commerce in 1937, Bachelor of Arts in 1940, and received a Diploma of Education in 1946 having, in 1939, won a University of Tasmania Research Fellowship. During student days, Poulter had worked in a saw mill, as a farm hand, and as a labourer at a cannery in Devonport, and also developed an interest in politics. In 1938 he joined the ALP. On 10 April 1941 he married, at St Stephen’s Church of England, Wynyard, Tasmania, a fellow schoolteacher and daughter of a postmaster, Peggy Wilhelmina Mead. There were two children—Suzanne Jennifer and Geoffrey William. In 1942 Poulter volunteered for the RAAF, having served in the reserve as an organiser of the Air Training Corps at Burnie. As a teacher he was manpowered, but continued in the reserve, achieving the rank of acting flight-lieutenant. Throughout the war years and until 1948 he remained with the Tasmanian Education Department. He worked in a number of Tasmanian state high schools, at Devonport, Hobart, Launceston and Burnie, and by 1945 was vice-principal of A. G. Ogilvie High School. During this period he was also a part-time lecturer for the Adult Education Council and gave radio talks on current economic and social problems. He remained a keen sportsman and at some time was a racing commentator for the Devonport Racing Club, formerly the Devonport Trotting Club. In 1947 Poulter was awarded a Tasmanian Government Travelling Scholarship to the United States of America to study at Columbia University in New York. Here he gained a Master of Arts in 1949 and a doctorate of education in 1950, having won the Dean’s Scholarship (1948–49) and the President’s Scholarship (1949–50). On his return to Tasmania Poulter, who fervently believed that all social advancement depended on education, again took up senior positions in Tasmanian high schools, and in 1952 was appointed principal of the Teachers’ Training College in Launceston, and a part-time lecturer in education and educational psychology at the University of Tasmania. In October 1953 he was divorced. Returning to the United States, he spent the academic year of 1953 to 1954 as a research fellow on educational television at Wayne State University, Detroit, Michigan, where he wrote a paper on ‘The Educational and Social Implications of Television’ and carried out postgraduate study in social psychology. On 27 January 1954 he married, in a civil ceremony in the Wayne County Building in Detroit, Barbara Goodman, née Baxter, a New York film editor. Barbara and Poulter had two children, Georgiana Esme and Andrée Liane. With his new wife, Poulter returned to Australia in 1954 taking up an appointment at the University of Queensland as a lecturer (later a senior lecturer) in the Department of Education. A tall, strongly built man with a fair complexion, pale blue eyes and a warm personality, Poulter was regarded as a distinguished educationalist and a stimulating university teacher. Although often travelling in country Queensland on university extension programs, Poulter became involved in a range of activities in Brisbane including the trotting scene, where he was one of a group endeavouring to get a home track for night events in addition to the regular circuit meetings. More importantly, he was on the committee of the western suburbs branch of the United Nations Association. Particularly concerned with the United Nations Universal Declaration of Human Rights, he became an active worker for the advancement of Aboriginals and, with Barbara and others, authored a small book, entitled The Aborigines and Torres Islanders of Queensland. He was to the fore in championing women’s causes. He was also a member of the Australian Institute of International Affairs. In April 1951 Poulter had been an unsuccessful candidate for the House of Representatives seat of Darwin (now Braddon) in Tasmania. Broadcasting on Tasmanian radio at that time he had referred to the crucial tenet of democracy as a ‘willingness to surrender sectional privileges in the general interest’. Still keen to enter Parliament, in 1958, when he was president of the Toowong branch of the ALP in Brisbane, he became the third Labor candidate on the Queensland ticket for the Senate, but was unsuccessful. 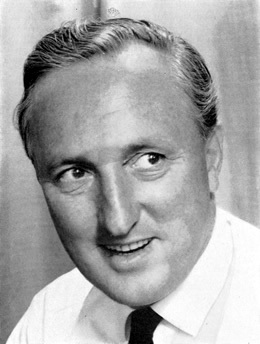 In April 1961 he represented Queensland at the conference of the Australian Labor Party in Canberra. Having proved he could attract rural and urban support, he was again preselected for the Senate for the December 1961 federal election. Poulter, who had a reputation for being outspoken and sometimes controversial, waged a vigorous and successful campaign, travelling through north Queensland with his friend and fellow campaigner, Manfred Cross. Poulter was due to be sworn in the Senate in August, but became ill and was admitted to Princess Alexandra Hospital in Brisbane for two months. He had been in Canberra at the opening of the Parliament in February when, it seems, he attended a meeting of the federal Labor Caucus. Poulter died at his Taringa home in Brisbane on 2 September 1962. His funeral service, which was conducted by a fellow staff member from the University of Queensland, Anglican minister the Reverend G. Needham, took place at Mt Thompson Crematorium and was attended by over four hundred people representing federal and state governments, the University of Queensland, the union movement and sporting organisations including the Queensland Trotting League. He was survived by his wife and their two young children, then aged four and three, as well as his former wife and the children of that marriage. In the Senate the tributes were poignant. Senator O’Byrne referred to Dr Poulter as a man who ‘always expressed his views with great confidence, believing sincerely in the cause that he espoused’. Others referred to him as ‘Senator Poulter’—to that extent at least a long ambition had been fulfilled. For several years a memorial lecture in Poulter’s name was organised by the University of Queensland Labor Club. The author is indebted to Barbara Baxter Poulter for assistance in providing information for this entry; Sunday Truth (Brisb. ), 9 Sept. 1962, p. 8. Mercury (Hob. ), 3 Sept. 1962, p. 2; Sunday Truth (Brisb. ), 9 Sept. 1962, p. 8; Information provided by Devonport Primary School, Devonport High School and University of Tasmania; Personal file, Department of Education, Tasmania; Poulter, M. W.—War Service Record, A9300, NAA; Staff records, University of Queensland Archives; Information provided by Daryl Rockliff, Devonport, Tasmania. Mercury (Hob. ), 3 Sept. 1962, p. 2; Staff records, University of Queensland Archives; Sunday Truth (Brisb. ), 9 Sept. 1962, p. 8; Courier-Mail (Brisb. ), 3 Sept. 1962, p. 1; A. H. Campbell, L. Cameron, J. A. Keats, M. W. Poulter and B. Poulter, The Aborigines and Torres Islanders of Queensland, Western Suburbs Branch, United Nations Association, Brisbane, 1958. Courier-Mail (Brisb. ), 3 Sept. 1962, p. 1; ALP, Reports of the 23rd Queensland Labor-in-Politics Convention, Brisbane, 1960, 24th Commonwealth conference, Canberra, 1961, 25th Commonwealth conference, Perth, 1963, 24th Queensland Labor-in Politics Convention, Bundaberg, 1963. The editor is indebted to Mr Manfred Cross (MHR, 1961–75; 1980–90) for information provided on Poulter; Courier-Mail (Brisb. ), 3 Sept. 1962, p. 1, 5 Sept. 1962, p. 10, 4 Sept. 1962, p. 26; CPD, 2 Oct. 1962, pp. 617–18, 2 Oct. 1962 (R), pp. 979–80; Senate Registry File, A8161, NAA. This biography was first published in The Biographical Dictionary of the Australian Senate, vol. 2, 1929-1962, Melbourne University Press, Carlton, Vic., 2004, pp. 375-377.